"No Problem, but Don't They Just Have to Dry?" 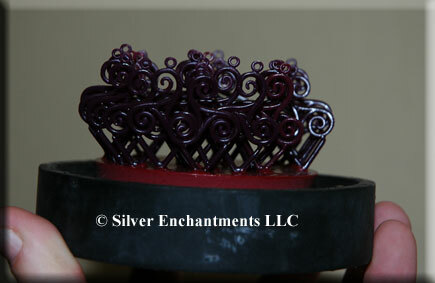 Please Find Below a Description (with Pictures) of the Lost Wax Casting Process . 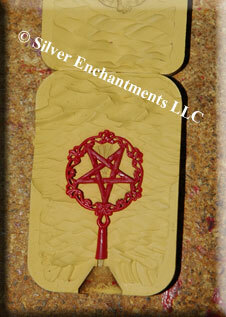 All Items begin with a Master that has to be carved, sprued & then cast. 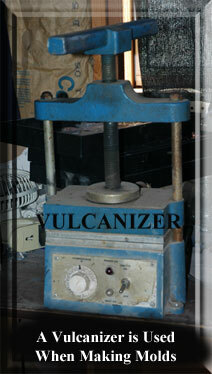 Then a Mold is made of the item. 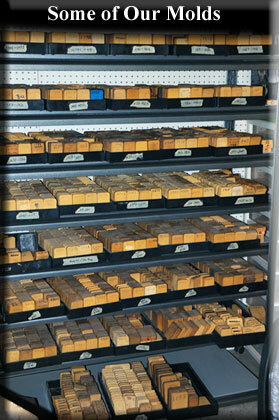 All items are hand-squirted with the help of a wax injection machine, ONE-AT-A-TIME! 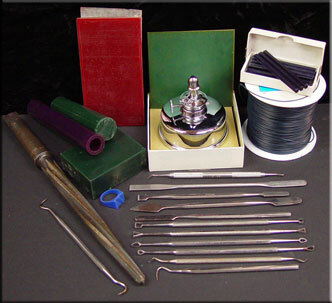 Different injection pots & wax mixes are used for different items. 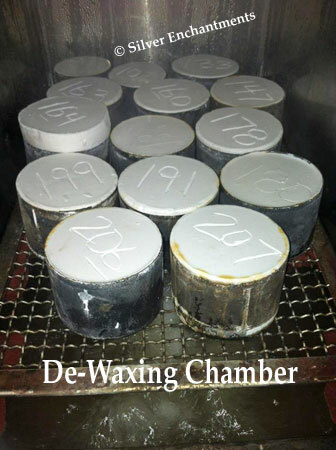 If the wax is not perfect, it is rejected as the finished piece will not be good... That's the rejects in the wax-catch bin. 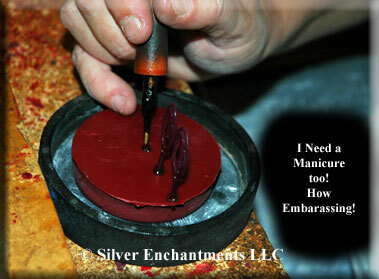 Now that each wax has been squirted, it has to be mounted (again One-At-A-Time) onto a wax base using a hot wax pen. 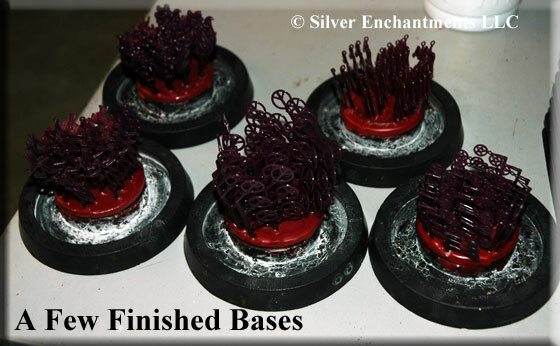 Different-Sized Bases are used depending on the item. 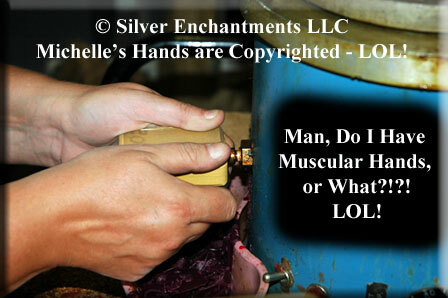 In General, About 20 to 50 squirted waxes are mounted to each base... One base is dedicated to each item. ELAPSED TIME... SEVERAL DAYS SO FAR. OK, Now Comes a Fun Part... 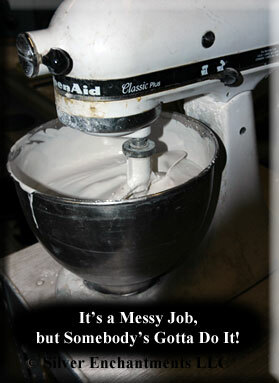 Investing (or 'Making the Muffin Mix'). 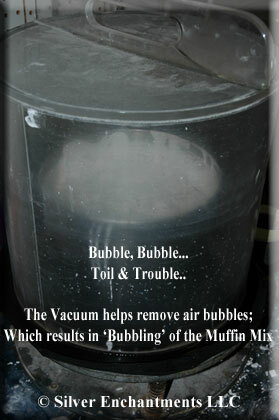 After the water & investment has been thoroughly 'mixed', but working very quickly... it then has to be vacuumed to remove air from the mix & distribute the investment tightly around the waxes. 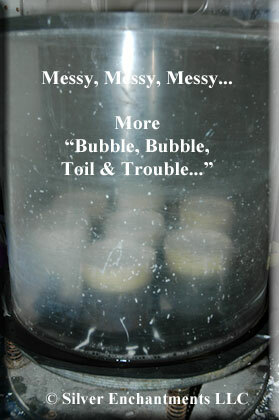 The investment is then poured into the flasked & taped flasks... & Vacuumed again!!! ELAPSED TIME... SEVERAL DAYS SO FAR... Investing, however, is done in 1 Day. 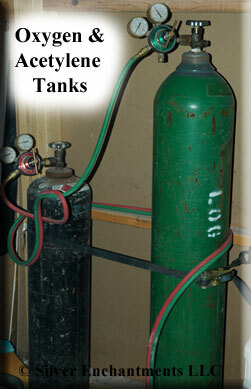 Generally 21-flasks or three batches of 7 flasks are done at one Investment time. The evening before a casting day, De-Waxing & Burn-Out Occurs. OK... 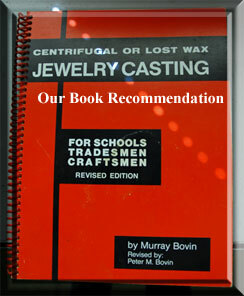 This is why this method is called the 'Lost Wax Casting' Process. 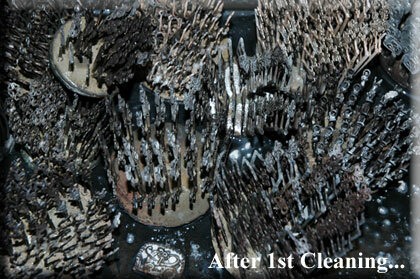 After the flasks have dried for a few hours, the flasks are then placed in a De-Waxing Chamber. The Wax is 'Lost' -- Get it???!!! 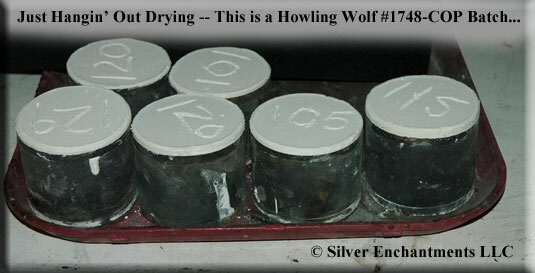 After the flasks come out of the de-waxing chamber, they go into a Kiln. Overnight, the kiln goes through a heating process/program that raises the internal temperature to over 1300°F -- which burns out / vaporizes any remaing wax left in the flasks. 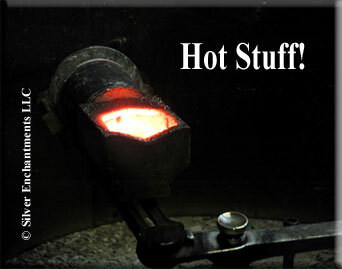 It then slowly cools & holds at around 900°F. Burn, Baby, Burn... Disco Inferno! -- It's a 70's Disco Song... I'm showing my age! Anyway, here's the 'Intense' Part of the Process. 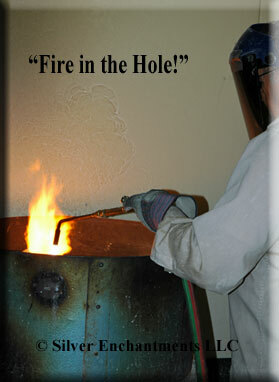 To Reach the temperatures needed to melt the metals, an Oxygen & Acetylene torch is used. 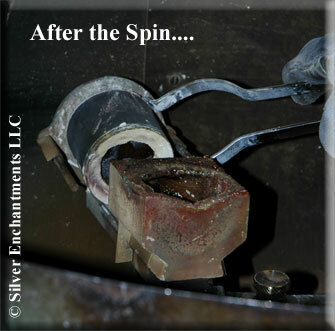 & the metal flows into the crevices created by the sprue via Centrifugal Force. 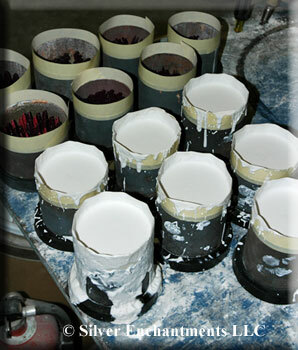 This is why this casting method is also called 'Centrifugal Casting Process'. In some circles, this is also called 'Spin Casting'. 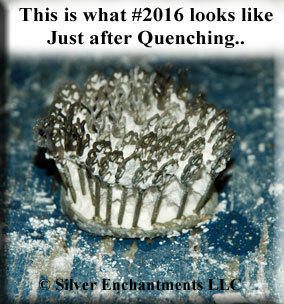 The hot flasks are then 'quenched' in water. 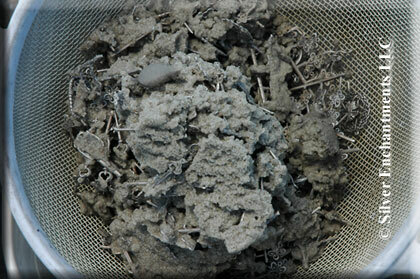 This part, like the 1st processes are the most labor-intensive & takes a few days. NOTE: Items don't look lovely until the very end. 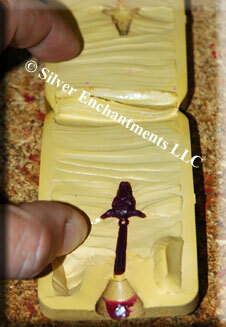 The 1st finishing process is cutting the Pieces of the Base -- the base is then termed a 'Button'. 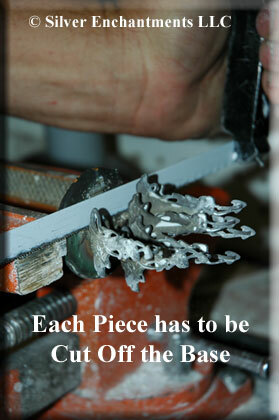 After each piece is cut, it then goes a few hours in the 2nd cleaning process to remove the remainder of the Investment material. 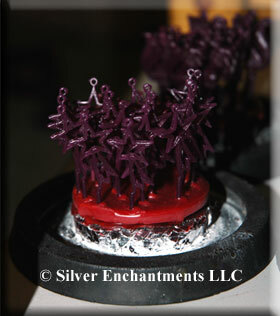 Then the sprue is cut off of each piece & is individually sanded. Then they all go into the tumblers again. 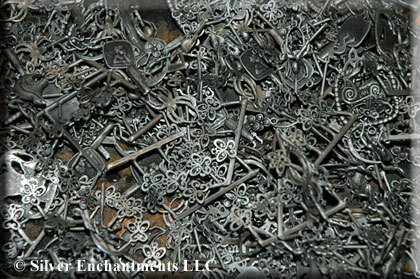 --Many more mechanical and hand-finishing processes happen over a few days. 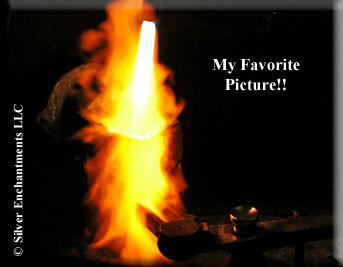 (Please see How Earrings are Made Section for Some of Our Other Processes). 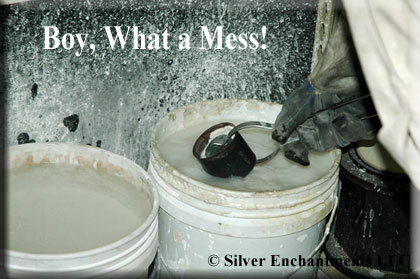 Items are dried, sorted, and sent out to YOU!!! THIS PAGE IS FOR CUSTOMER-INFORMATION PURPOSES ONLY!! Hoping you Find this Page Interesting!! We'd LOVE to hear from you if you do! Enjoy Your Visit & BB! 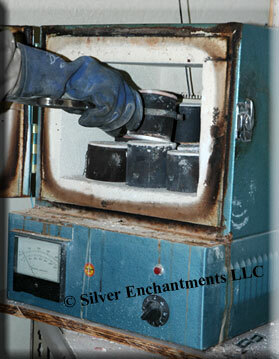 The Family-Owned & Family-Operated Team of Silver Enchantments LLC.